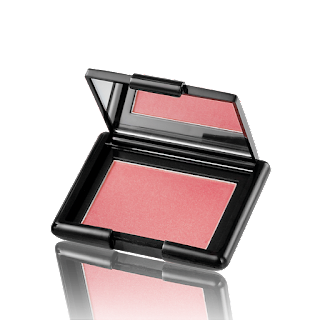 Blusher is a cosmetic power or may be in cream form used to give warm and attractiveness to the cheeks, they provides glow and beauty to the cheeks and give them the feel of being the most prettiest person on earth, basically our blusher range is of different colors, shades as they are made up of fine ingredient power to stay on your face without any fullness and to gives you a smooth touch on your cheeks and for all tat our all products are clinically tested and approved by them to involve them in make-up box. We have plenty of verities of different kinds of blushers in the form of liquid as well as in the form of powder also such as Very Me Peach Me Perfect Skin Glow, Oriflame Beauty Perfect Blush, Oriflame Beauty Terracotta Powder are some of the names which are on top when it comes to perfect blushers, they have a soft powdery effect with strong color effects so by applying just for one you get the perfect catchable skin tone with glow of the blusher it delicately provides soft texture sculpts your face and cheeks with there wonderful and strong glow on your look . We provides blusher of different shades and color options as we know that there are many ladies who become hesitant when it comes to use blush so for them we provide light effective blusher but basically there are some selective colors which are very popular all across the globe such as brown, apricot tone whereas colors such as pink tone, rosewood mainly for winter, the terracotta, amber, apricot are some of the easiest mix and matching blushers which combines and blends easily but if you have dark or brown-toned skin tone the for you vivid red such as similar to hibiscus and tomato are perfect. So apply the blusher according to your skin tone whereas keeping the shape of your face can also be a good point to apply best make-up as basically our face is of about four types which are round, oval, heart and square so it’s better for you to apply according to the shape of your face for perfect blush.